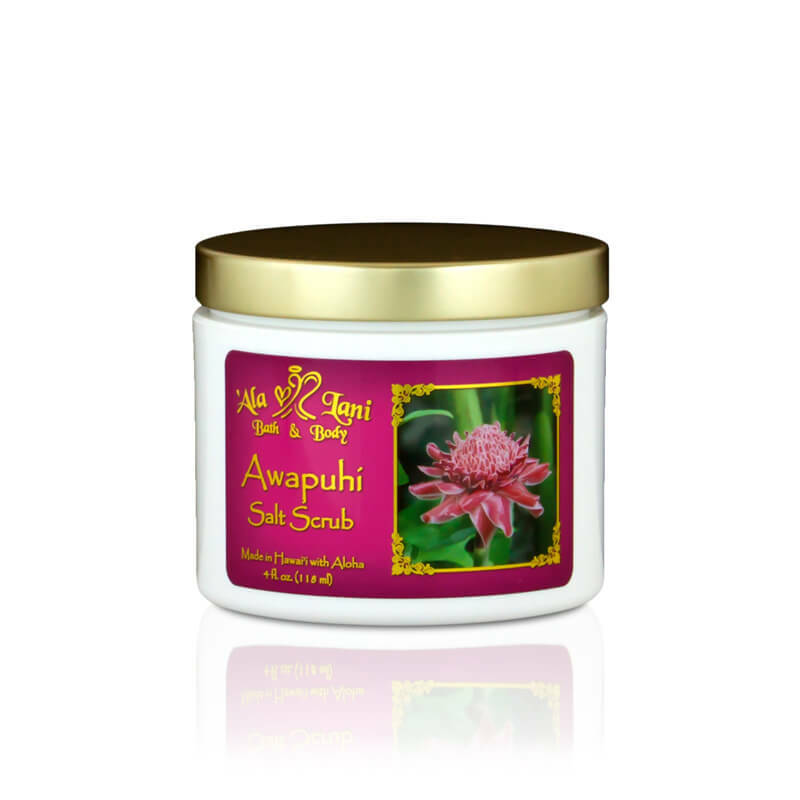 Hawaiian red ‘alaea sea salt is combined with ginger root, lemongrass, lemon, honey, and a mixture of rich oils. This combination creates an exfoliating scrub that detoxifies and reduces water retention, while deeply moisturizing the skin. Hawaiian green papaya is added to further soften the skin. This scrub stimulates circulation, relaxes the body, and may leave you in a state of euphoria. It is also said to have anti-oxidant properties and is great for colds.